A beautiful bouquet of flowers is the perfect gift for Mother's Day, Valentine's Day, Christmas or a Birthday. With Free UK Delivery on all our flower gifts that are always shipped fresh, budding and about to bloom. Fresh flowers make the perfect gift and all hamper.com flower bouquets are hand tied and individually created using the highest quality flowers available in season to create the stunning floral design you have chosen from our flowers range below..
Free & fast flower delivery also available Worldwide to Australia, New Zealand and Canada. Order a beautiful bunch of fresh flowers today with our stunning collection of flower bouquets carefully arranged by our professional florists, for and outstanding flower display hand tied and delicately packed. 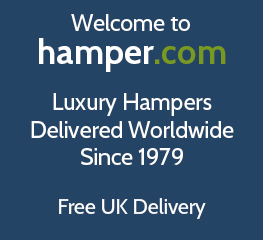 Free UK delivery on all flowers bouquets, whatever the occasion you're celebrating, order your flower gifts from Hamper.com today.